YoungBusLover had the most liked content! #6734 Is at SS along the south fence. I went up north this past week and two #6700's (#6724 & #6758) in particular I rode on compared to #6877 had transmissions issues and the tune of the engines had a small death tick to them. Surprisingly riding on former 74th's #6877 on Rt.54A was a blast getting up to 50mph at points along Cicero, it still sounds good and runs great. 4400'S 1990-1991 TO 2008 Were retired in batches between 2004 - 2008 -1000's replacements 5300'S 1990-1991 to 2009 Were retired in batches between 2003 - 2009 - 1000's replacements 5800's 1995 to 2008 Were retired in batches between 2007-2008 after receiving rehabs - 1000's replacements 6000's 1995 TO 2010 Were retired in batches Un-rehabbed 6000's went first between late 2007- 2010 until budget cut prematurely retired the last 200+ plus or so left - 1000's replacements 6400s 2000-2002 to 2015-present a majority if not all the 2000-2001 6400's have been retired and the 2001-2002 models are lingering around for now. In theory you would think added 1000 #1000's the newer #7900's deliveries and the articulated surplus the CTA would have retired the last 100 now maybe 80 or so 6400's a while ago but with no new deliveries in sight to replace the last remaining few this is what the end result of it all is. CTA is known to keep buses long after the 12 year FTA requirements because lack of state funds to purchase newer equipment . Heck look at the the MTA right now they're now retiring there 1998-1999 NovaBus RTS's now and they have if not 3 times the size bus fleet as the CTA so several factors play a role. 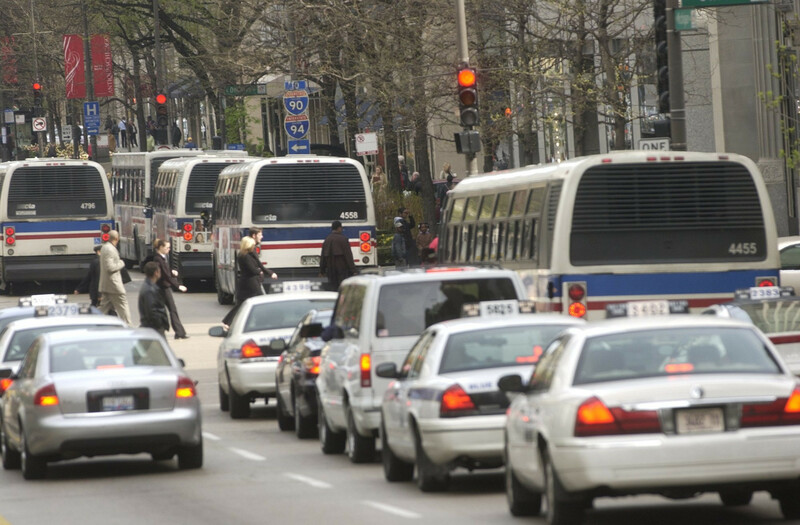 https://www.chicagotribune.com/news/local/breaking/ct-bank-robber-cta-bus-getaway-20170320-story.html?utm_source=dlvr.it&utm_medium=facebook&fbclid=IwAR15CYCeWvb9ASv0nv5TZDaaDWcwLnAZkQ9D7iK13FW_34XKSlQssVeHkFk This is oddly hilarious. Doesn't the higher brass at CTA determine bus moves and loans or is it a garage to garage basis? Yes indeed, #6043 hasn't moved since it was retired back in 2008 I believe If my memory serves me right it was involved in fatal accident with a Bike rider or pedestrian. I couldn't tell if I saw #5764 or #5467 sitting behind it but there is a lot of classic junk back there rusting away. #6043 is scrap bound, the only buses that seemed to be in good shape on the outside exterior wise was ex-wb1 I forget if it was one of 74ths 6000's but also the fresh move Flx's still look like they're in good condition from the exterior but they haven't been moved much in the yard and I believe they've been sitting there defunct since mid 2015-2016 or so I don't know. Anything is possible for those Metro's, I would like to see #6163 preserved and restored by CTA once the CFD retires it but hey that may be a long shot, Three GM/New Looks still sit on the Northeast corner of the yard while the #4400's I saw seem to be scrapped bound as well other than one but I couldn't get a full view off it due to some 7900's sitting around it. Also a lot of 6400s though are sitting in the boneyard now though,#6679 caught my eye along with #6474 those were probably the last two 6400's I rode on before they were moved to FG. And yeah I meant #4323 and those work-buses are still there from what I saw. #1305 is done after a trip I took down to SS today most the rear end near the burnt section is stripped and from the view I had it appeared to be stripped for parts,#4326 might return but it doesn't look to good either as they both sat among old 800s-900s,5900s, freshly OOS 6400's and two 500's awaiting scrap. I'm shocked that those legal settlement 4400's, 6000'S and 5300's are still sitting in the bone yard after all these years. I wonder how long it will be before they're gone along with the Fresh Move Flx's. Well seeing as certain feeder routes to the orange line don't run 24 hours a day it would make sense for the 47 and N62. I would assume Midway employees.